If you’re a chicken, then why does your box say “police”? 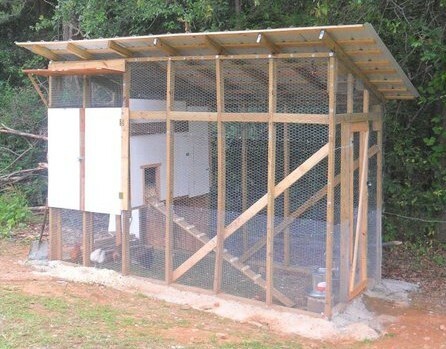 In a day and age where Tour d’ Coops are not uncommon events in chicken communities….I have to admit that our coop is strictly functional – built purely for the shelter and safety of our flock. Today, My Pet Chickens unveiled – in my opinion – their coolest, most awesome coop yet. Ladies and gentleman, I present to you My Pet Chicken’s The Hobbit Hole. Totally awesome, and ridiculously cute beyond all imagination. I mean who doesn’t want this in their backyard? If this doesn’t convince you that having chickens can be life changing and fabulous…nothing will! But – deep in the fathomless pits of nerd-dom….another type of coop exists – and believe me, it may be even more awesome that the Hobbit Hole. With its own Dalek. What! Well, if you didn’t already know that I’m a fan of Doctor Who, you know now. In theory, I think having a TARDIS coop would be crazy fun; but I know that I would fall victim to a contagious disease that strikes even the most vigilant of chicken keepers. That disease is called Chicken Math. Chicken Math is a disease that hinders your ability to properly count the number of chickens that you own or plan to own at any given time. You plan on only having 6 chickens and one day you wake up and you have 10…a year later you have 56 and you are not entirely sure what happened except that you somehow became a chicken hoarder. 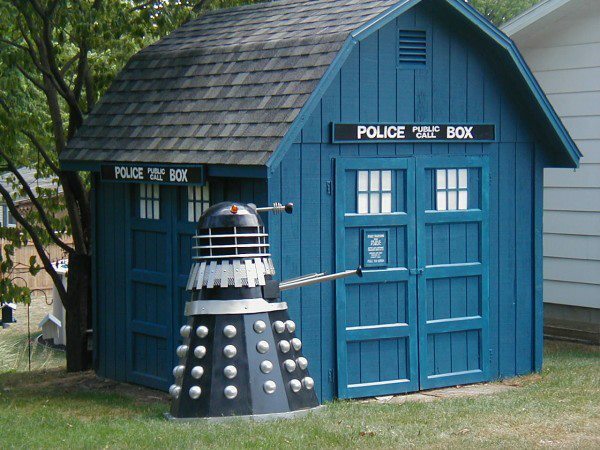 If I had a TARDIS coop, I would spend all of my time constantly opening and closing the door hoping that my coop would suddenly be bigger on the inside than it is on the outside. I’d make an excuse that we needed at least one chicken named Ameilia or Martha or Rose….and before you know it, we’d have all three of them, plus Donna, Wilfred, and Sara Jane Smith! Nope – in Pleasant Hill we’ll just stick to our functional coops and leave the Tour d’ Cooping for everyone else. After all, Stephen and mine’s carpentry skills are not that advanced – but we still enjoy looking at everyone else’s creative cooping! 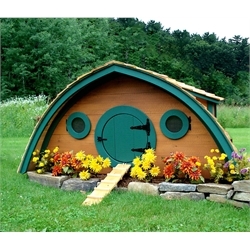 I saw that Hobbit Hole coop today on MPC. It’s really cool, but way out of my price range. I think I built a shed and a coop for less. Still is a pretty swanky coop. Same here! A lot of fun to look at (and probably to own) but it would not be too much fun for my wallet! I think your unassuming and functional coop is wonderful. I wish I had it. Thank you – it has served us well since we built it. 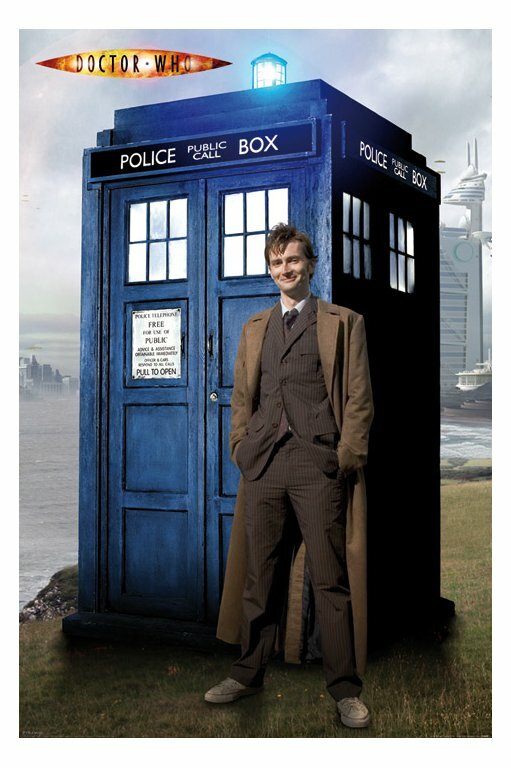 As fans of both Dr. Who & Lord of the Rings we would love a TARDIS or Hobbit coop! I think we may be in the early stages of chicken math syndrome.